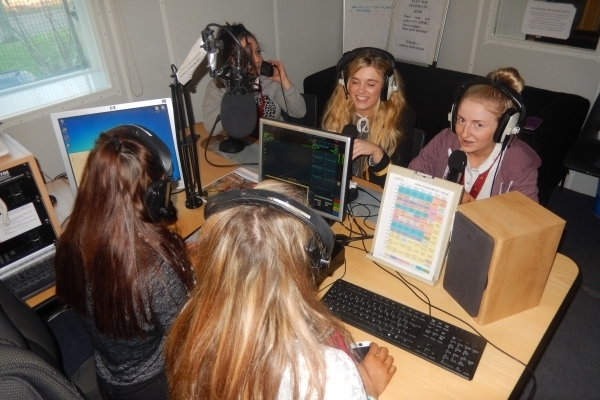 Kincorth Academy's shmuTRAIN Early Interventions group have been taking part in Employability and Radio training in school. As part of their radio training the group have been researching, scripting and planning for many radio shows that they wish to broadcast in the future. On Friday the 19th of December the group were taken along to shmu as part of an introduction to the studio and an end of term treat for all their hard work during the term. The group hope to gain their Level 5SVQ in Radio and have been working incredibly hard. They enjoyed being in the studio and are looking forward to future visits to shmu to continue their training and to hopefully broadcast their live shows.